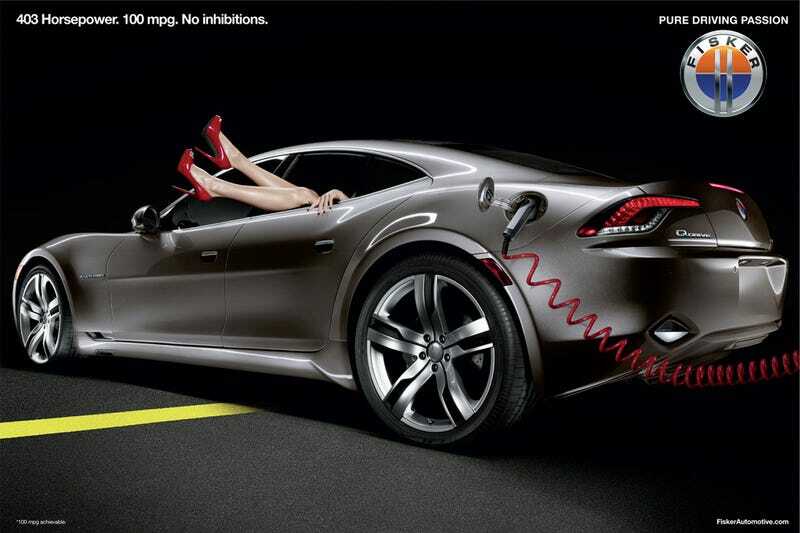 This was apparently an official Fisker ad campaign. How could they possibly have gone belly up? Did she drop her phone back there, or what?